1) Tell us about your books. The Sword of Fire series sets the events foretold in the Bible's Book of Revelation in a medieval fantasy world. Much like C. S. Lewis brings the main part of the Gospel into The Lion, The Witch and The Wardrobe, I am bringing the main events of Revelation into my stories and for much the same purpose: so that those who might not otherwise read the Bible might read of its themes in a fantasy story and may then wish to read more about these from their source. The story revolves around Prince Daniel of Asulon. He and his family are descended from the last of the Grigori, a third group of angels who remained neutral during Satan's rebellion and were banished to earth. The Grigori's first generation of offspring becomes the giants of Genesis 6:4 (There were giants in the earth in those days; and also after that, when the sons of God came in unto the daughters of men, and they bare children to them, the same became mighty men which were of old, men of renown.). This angelic blood gives Daniel's family twice the lifespan of common men as well as superior endurance in battle. I got the idea of the Grogori, this group of neutral angels banished from heaven, from the apocryphal Book of Enoch (1st to 3rd centuries B.C.) This book has a long history in fantasy stories, as its idea of neutral angels has been used as an origin of fairies, elves and the like since medieval times. Having angelic blood in your veins can be very useful when you have to fight dragons and the other mythical creatures that appear in my stories. 2) Why did you write your books? I grew up in the 1960's and 70's reading the typical boys adventure books popular at that time, James Fenimore Cooper's Leatherstocking series (Last of the Mohicans, etc), tales of King Arthur and his knights, Greek mythology and, of course, comic books. Stories of brave heroes, action and adventure. I was also in the Boy Scouts in the 70's and read many outdoor stories in their magazine, Boy's Life. My favorite movies back then were swashbucklers from the 1930's and 40's, Biblical epics from the 1950's, classic westerns and WWII stories from the 50's and 60's. In most of these movies it was very clear who were the good guys and who were the bad guys. In the late 60's and early 70's our culture began to change. Heroes in books and movies became the morally ambiguous "anti-hero". With a few exceptions, there were few book or movie heroes from the mid-70's and on who could have sat at the round table with King Arthur or rode the range with John Wayne, few who were as moral as they were strong. One thing that really impressed me about the stories I grew up on was how these great warriors also tried to be good men, to be honorable, to do the right thing no matter the cost. When I began writing my own books I decided from the first that I wanted my heroes to follow that path, to be good as well as strong, to be chivalrous knights, to be the good guys with the white hats. So I wrote my books because I wanted more stories like the ones I grew up on and loved. 3) What is the sword of fire? It is the flaming sword the angel used in Genesis to guard the entrance to the Garden of Eden. In my story it later becomes Excalibur and the sword of Charlemagne and many other swords heroes used throughout all the old tales. By the time of my story, it is hidden and the hero must find the sword to defeat monsters and defend God's people. 4) What helps you write your stories? The target audience for my novels are teenage boys. I want my stories to have the same elements that I enjoyed reading about when I was that age and that gave me a life-long love of reading. I also have in my stories many of the things I have enjoyed doing since I was a young man: anything to do with the outdoors (camping, hunting, fishing, canoeing, etc) and martial arts. 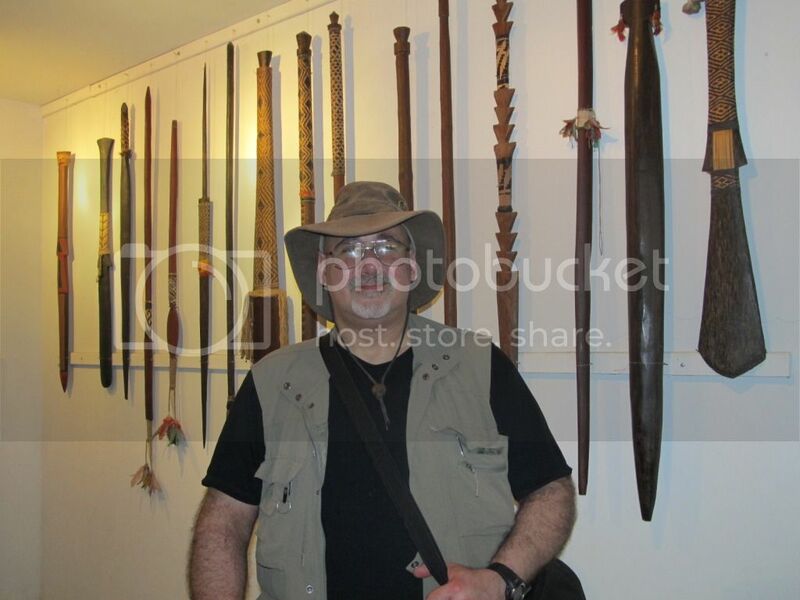 In 1975 I began training in a Filipino martial art called Pekiti-Tirsia. I still practice it to this day and travel around the world teaching this art. It is a weapons based art and the sword fights the characters in my books engage in are based on this martial art. Therefore, my stories have sword fights and scenes showing how swords are made. They have hunting with primitive weapons and scenes that show techniques for outdoor survival. All the kind of things that were common in the stories I grew up on, but seems to have fallen out of favor in what is recommended for boys to read in modern times. 5) How are your books different from other End Times novels such as the Left Behind series? My novels use the same timing of the rapture that was held by the early church fathers; that the rapture will occur after the Great Tribulation and as Christ returns to earth. This view allows my Christian characters to go through the Great Tribulation and shows the difference between how they go through hard times and nonbelievers. It is this contrast that is one of the main themes in my stories. 6) How do you write for your target audience? It's a bit of a tightrope walk. As a writer, while you want your hero's morality to be desirable, you also have to make it accessible for your readers. The hero should not require any superpowers to do what is right. I want my readers to think not just that they want to be as good and as brave as the good guys in my stories, but they can be that way, that the hero's morality is not only desirable, but that it is attainable. 7) Where can people buy your books? Both the paperback and Kindle versions are available at Amazon.com and the Kindle version of the first book, Asulon, is free to download during Easter week. If you buy the paperback version of Asulon or Eretzel from Bill's martial arts website, it comes with a DVD showing the martial art system used in the story. Loved your previews of your books and the reason behind your writing them (for young teenage boys but I think the girls will love it as well. Especially because of the love story which is one of the keys to Daniels' heroism. But I love the 'giants;' especially because they made me laugh out loud!!! The problem I see with those old stories is that human beings naturally have flaws. Fictional characters from the fifties have minor flaws like not flossing. It doesn't reflect what I see in reality, where sometimes it's the atheist that shows the Christian how to be a good person, due to the Christian's shortcomings. There's the Westboro Baptist people and there's that guy who shot the abortionist in church, and a guy in jail for drug possession looks tame by comparison. That's why Pulp Fiction is such a hit, because even within the bad guys, there are bad guys and good guys, and nobody is 100 percent perfect. Cowboys in those old movies were 100 percent perfect, and the audience fell asleep watching them. Or, they kept thinking to themselves, "C'mon, that guy can't be that perfect ALL the time!"